It's our first full day of touring together, and Jake and I are starting to find our groove. Up until Day #18, I had been traveling by myself. Now that I have a biking partner for the next few weeks, things are...different. 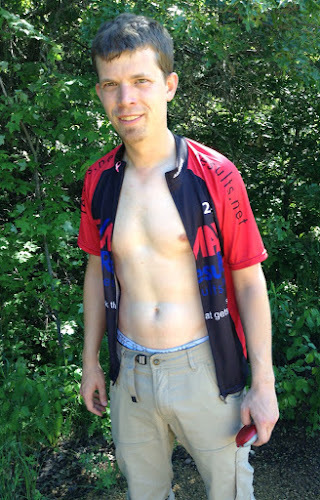 Prior to this trip, Jake's touring resume consisted of only two one-night bike trips. He's a brave guy to bite off a three-week adventure. Let alone, with me. Jake is quickly learning a lot about touring. 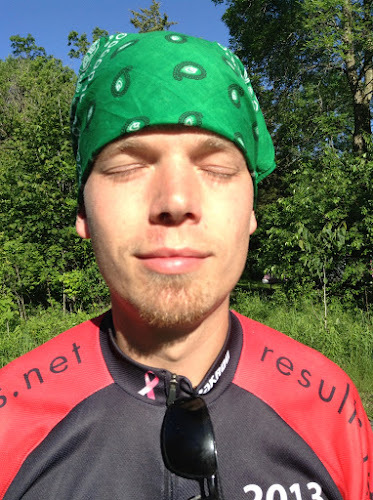 I've been offering some suggestions, such as wearing a bandana under the helmet to prevent sunburn to the forehead and scalp. Sunburn protection instantly transforms Jake into a gangster. Other things are best learned by oneself, in a trial-and-error fashion, such as how best to pack one's panniers. One definite benefit of having a touring buddy is having someone to take photos of you. Jake captures a photo of my better side. Welcome to Wisconsin! 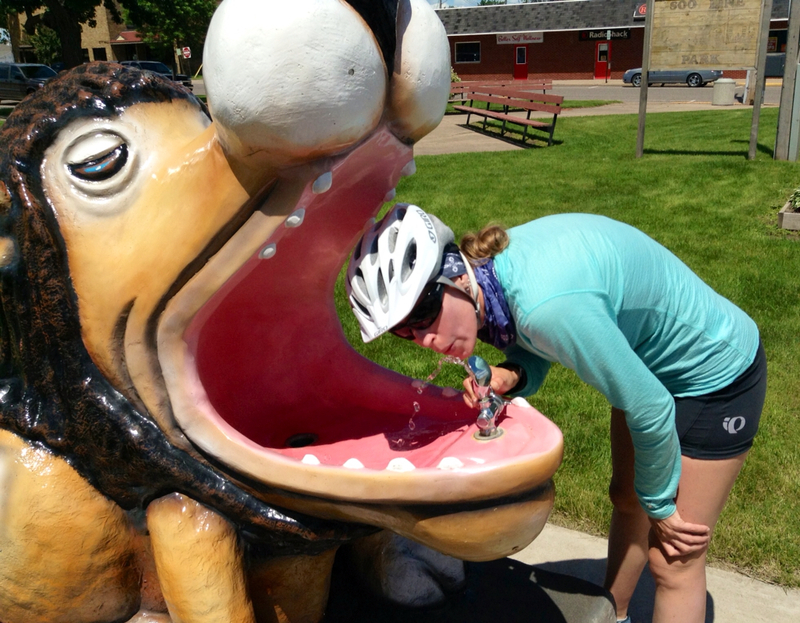 Drinking from the lion's mouth in Amery. Jake and I are taking many more breaks than I would typically take biking on my own. I'm learning that Jake likes to transform himself into a nearly half-naked man at stops. I'm okay with that. Jake has a great skill for sniffing out good rest stops, particularly ones with nice views. 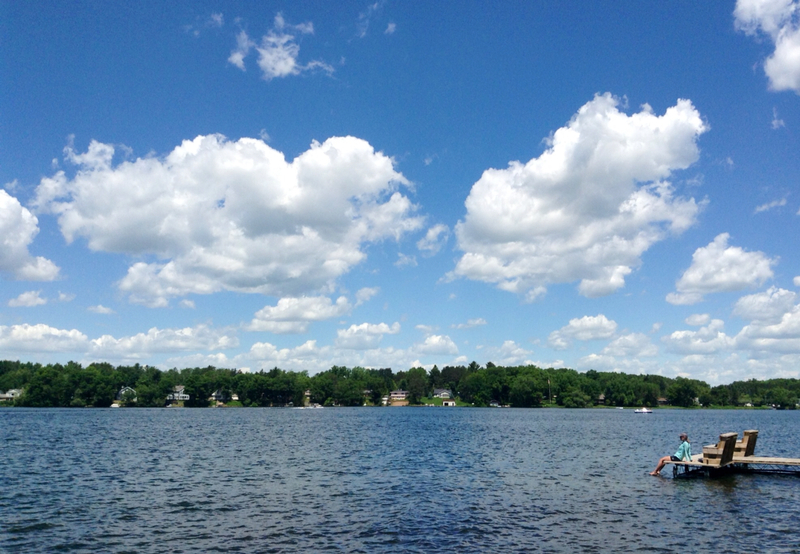 Our lunch stop, at a beautiful lake. I could stay in this moment forever. For each of these breaks, we have spent a bit more time lolly gagging than I typically would on my own. Which, again, is fine by me. 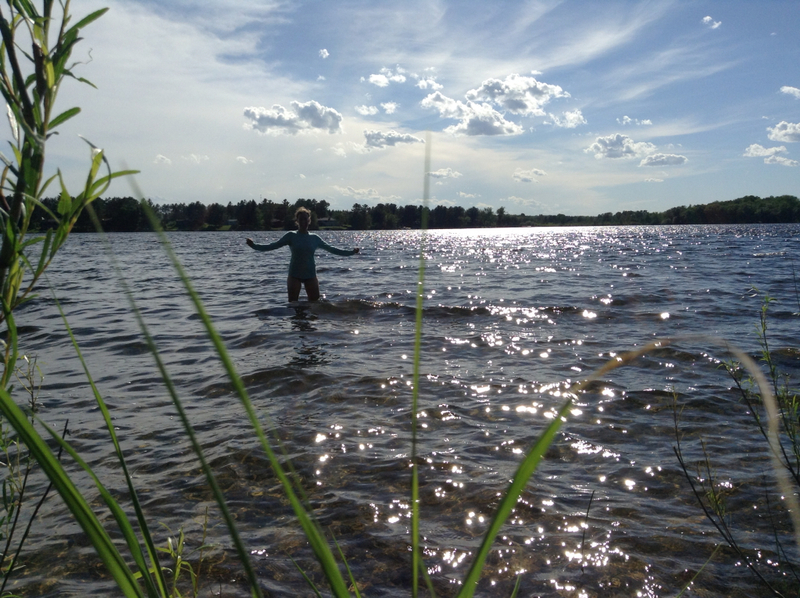 Ah, there's nothin' better than soaking the feet in a cold lake on a hot day. 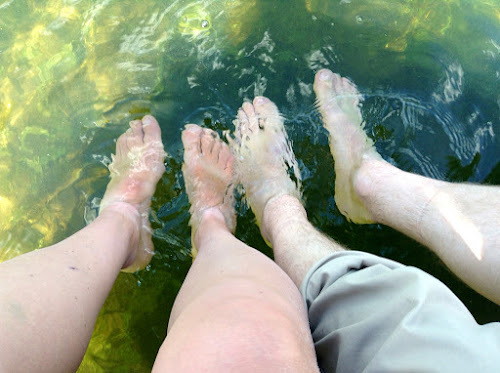 And, as it turns out, Jake is teaching me a thing or two about touring, such as how wonderful it is for every day to include some sort of water therapy. Wading in the Beaver Dam Lake. As we're spending more time on the road, and as we're spending more time enjoying each other's company at camp, I'm finding it a bit of a challenge to keep up with this blog. Fortunately, I've also learned that Jake requires more sleep than I do on tours. So, as he enjoys his dreams in his sleeping bag next to me, I'm catching up on some posts. I'm liking this groove. As Simon and Garfunkel would say, we're feeling groovy.